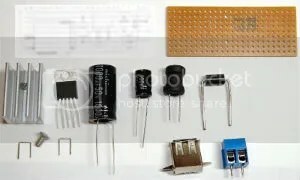 This kit contains all the components and instructions required to build a 5 volt switched mode power supply, suitable for powering a Raspberry Pi computer from a 7 volts to 40 volts* DC supply. Not only does this make the most of your battery power, but far less heat is generated in the process. The switched-mode power supply IC with the heat-sink removed comfortably powered the Raspberry Pi for over an hour while only getting warm (estimated around 40-50 degC). Performing the same test with the linear power supply, the IC was too hot to touch (over 80 degC) within minutes. Kit is supplied unassembled – fully-assembled & hand-soldered version is available at additional cost please contact for details. For multiple items, ask for a quote (since posting will be less and it is easier to make/test several in one go). +£2 Mounting Holes – Two mounting holes can be added to the board (3mm diameter – located below USB connector and above the terminal block) – Contact me for details. 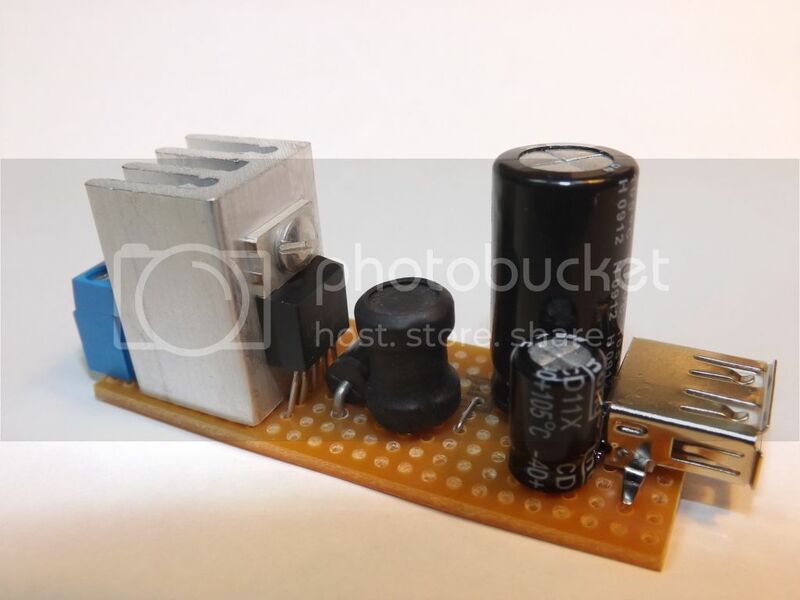 +£10 Assembled & Tested – Will provide the kit assembled and tested (the includes added cost for postage since the item has to be sent as a packet). The remaining proceeds shall be used to further develop more kits and create in-depth supporting material (such as programming guides and exercises). components which should withstand 3Amps and up to 50V input, they have not been tested at these extremes of operation and is likely to push the limits of the supplied strip-board (if you require this, then please choose a purpose built unit better suited to your needs). In event of component loss, or failure due to incorrect wiring or driving by voltage/current (even if within the rated limits) replacements parts will only be supplied at customer’s own cost (including postage). 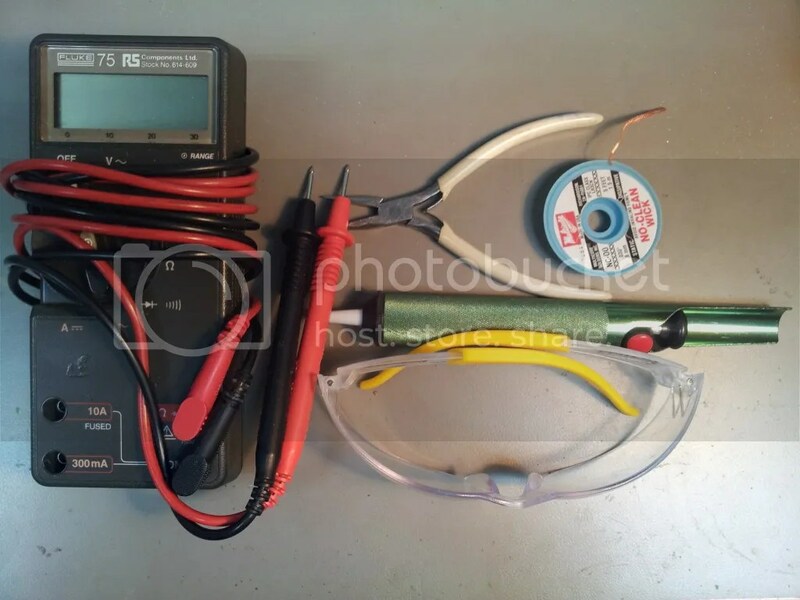 If powering from batteries, remember additional circuits may be required to protect against excess discharge, over-heating and damage while in use (the kit does not provide this protection). Additional circuits may be required to charge some mobile devices via the USB connector (i.e. Apple). It is recommended that this device is not used in a situation where it is unsupervised or likely to cause injury or damage in case of failure or fire. No guarantee or assurances can be given that the PSU will operate without failure or damage. No liability will be accepted for damage or injury resulting from the use of this kit. Use of this kit is entirely at your own risk. It is recommended that the circuit output is checked with a multi-meter/voltage-meter prior to connecting to any equipment. Components and strip-board may vary in colour and appearance, and specification. Returns cannot be accepted on used/part used kits. Do you really need a heat sink ?, I think 2576 can handle that type of current, comfortably. I’ve tested it playing a film for over an hour without one, and it was around 40degs with just the temperature probe and clip attached. So it probably would be fine without one, assuming there is good air flow, but obviously the heatsink keeps it much cooler which is no bad thing. I fully recomend build this board, it’s very versatile. I have a squashed version of it fitted inside a portable DVD player, and it runs my RPi almost everyday. Would this be suitable for powering a Pi in the car? 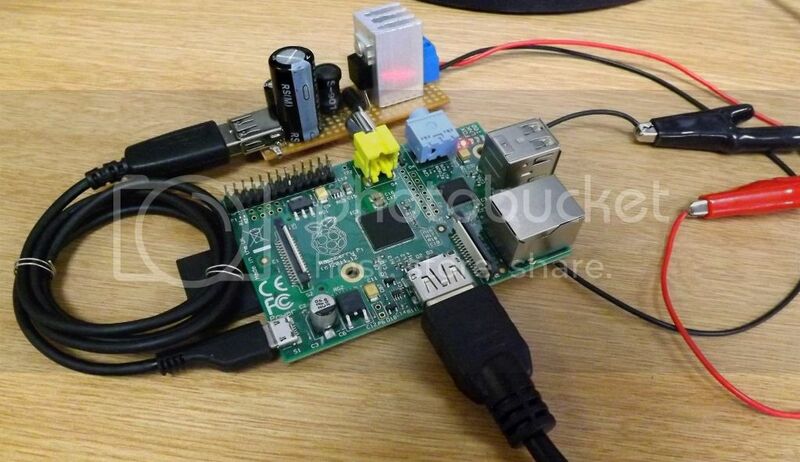 It would power the Raspberry Pi from the 12V car supply without any problem. However you are responsible for ensuring it is safe for use etc. or get someone to check your installation over if unsure. 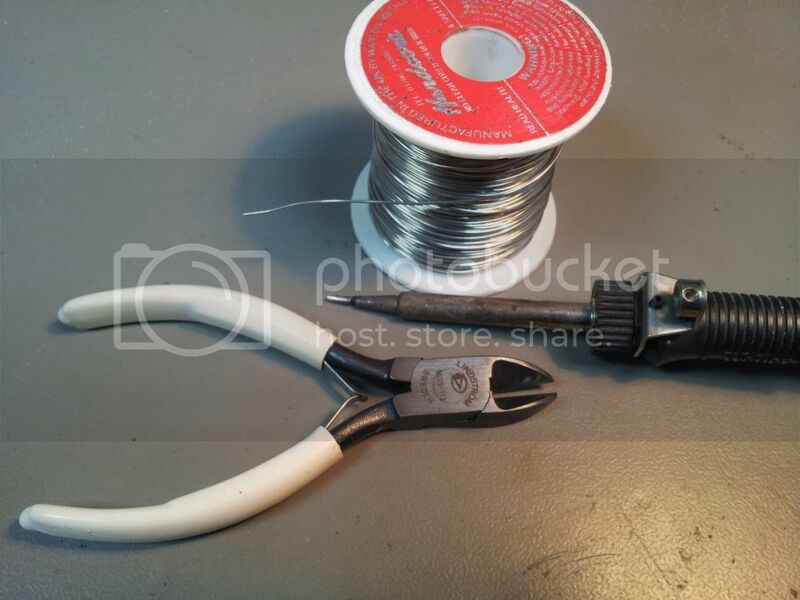 Boa noite, eu precisava de um desse para colocar em uma luminária de led 12v porém minha bateria é de 20v de litiun, é adequado? Ela fica ligada o dia inteiro, será que resolve meu problema? The psu should work up to 40 volts but it will output 5 volts, not 12 volts! Also note warnings regarding it being a hobby kit.